Creed is an American rock band formed in 1993 in Tallahassee, Florida. The band’s best-known line-up consists of lead vocalist Scott Stapp, guitarist and vocalist Mark Tremonti, bassist Brian Marshall, and drummer Scott Phillips. Creed released two studio albums, My Own Prison in 1997 and Human Clay in 1999, before Marshall left the band in 2000. 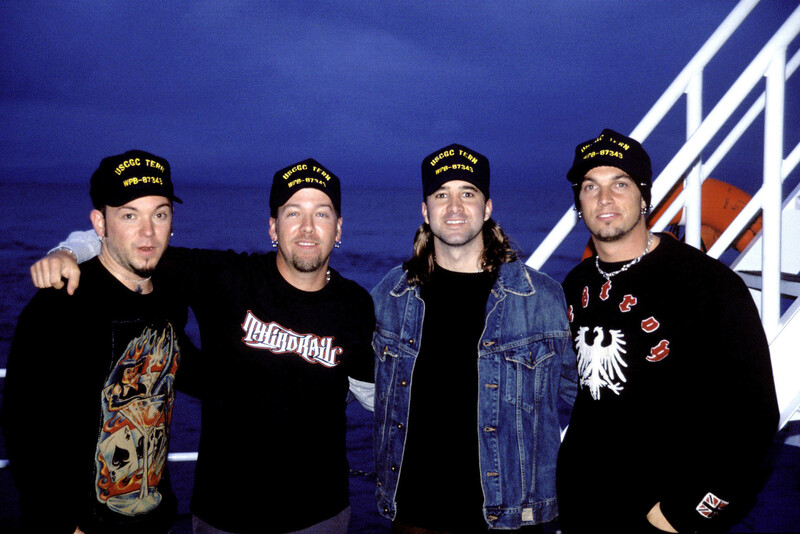 The band’s third album, Weathered, was released in 2001 with Tremonti handling bass before the band disbanded in 2004 due to increasing tension between members. Tremonti, Marshall, and Phillips went on to found Alter Bridge while Stapp followed a solo career. In 2009, after months of speculation, Creed reunited for a new album called Full Circle, and toured until the end of 2012. Another album was planned, but has since been shelved. The instrumental members turned their attention back to Alter Bridge and Tremonti formed his own band, while Scott Stapp joined Art of Anarchy. There are currently no plans for Creed to resume. Becoming popular in the late 1990s and early 2000s, the band released three consecutive multi-platinum albums, one of which has been certified diamond. Creed has sold over 28 million records in the United States, and over 53 million albums worldwide, becoming the ninth best-selling artist of the 2000s. Creed is often recognized as one of the prominent acts of the post-grunge movement that began in the late 1990s.